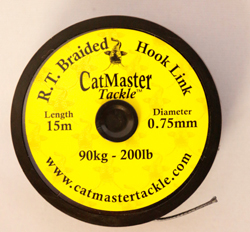 CatMaster R.T (Really Tough) Braided Hooklink. Really Tough by name and really tough by nature! 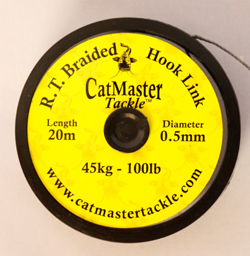 Three new braided hooklink braids by CatMaster Tackle. Available in 100lb, 200lb and a mighty 300lb breaking strains, these light green, virtually round profile hook lengths are beautifully soft and supple across the range yet retain fantastic abrasion resistance. During intensive field testing, several big catfish over 100lb pounds including a huge French river cat of 208lb have been landed. The 200lb (.75mm) on 15m spools and the 300lb (1mm) on 10m spools. All priced at the RRP of £9.95. Ive been testing the new RT braided hook link since last spring (2018) . 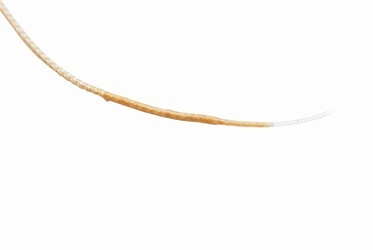 The 300lb version is ideal for tying live bait rigs with multiple hooks , giving the live bait the freedom to move in a naturalist way but stiff enough to not tangle. The braid stands up very well to the teeth of catfish , numerous large fish where caught on the same rig with very little fraying and the thick diameter means that little strength is lost when the fraying does occur. 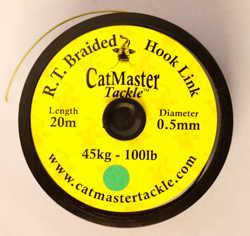 I have also been using the RT braided hook link in 200lb as a rubbing leader in rocky and weedy conditions, an 8 m length tied to the cat braid main line and then tied to the hook link gives you extra protection in a vulnerable area. 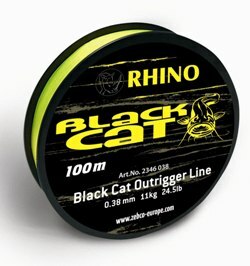 A product that is ideal for big European rivers and the Amazon catfish. 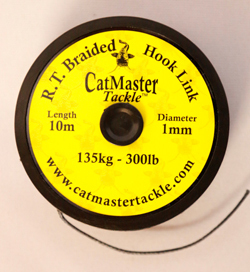 This new 100kg (220lb) BS hooklink from CatMaster Tackle is a tightly woven, semi-soft and extremely abrasion resistant Kevlar based material. A high quality thick clear monofiliment. Having the required stiffness to assist in various rigs. Such as dumbell, cat-o-copter's etc. With a high abrasion resistance. 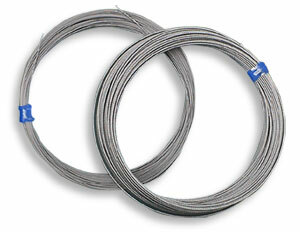 Top quality 49 strand stainless steel cable. Natural finish. Flexible and kink-resistant. For double hook rigs, downriggers, leaders. 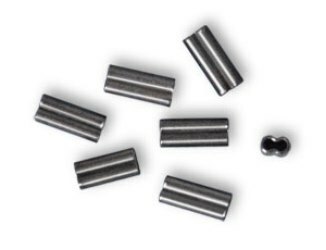 Versatile sleeves suitable for working with light or heavy monofilament, wire and nylon coated wire leaders. 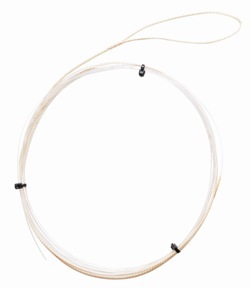 Monofilament leaders are one of the secrets of the success of a Catfish specialist. 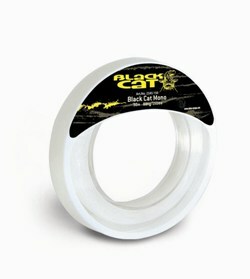 Incredibly friction resistant, invisible, self-hooking due to the stiff rig characteristics and anti-twist. Mono Leader is suitable for Clonk angling, legering and bouy fishing. This leader is virtually indestructable. Is the first choice with many of the big fish anglers in Europe. The leader is the connection between the catfish and the angler. Only the strongest and most friction resistant materials will result in a successful fight. 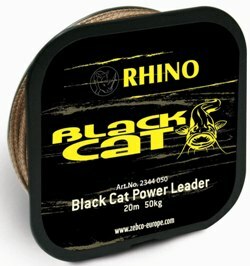 Black Cat Power Leader is the optimal leader for all catfish angling methods. Introducing a unique new product: This rig creates the optimum and strongest conection between braid and monofiliment. Best suited to bouy fishing, bank fishing, fishing tight to hollowed out banks and vertical fishing for catfish. The rig is set to the correct water depth and is simply connected to the main line by loops. A special splicing process creates a 100% strong connection between the Frontzone monofiliment rig and mainline. Thanks to the special loop conection, the rig can be completely retrived through the rod rings during a fight without becoming hooked up. An ideal line for rigging bouy rigs.